I guarantee things will be different this year with the Dallas Cowboys. Not saying that, come December, they'll improve on consecutive, disappointing 8-8 seasons. But I'm alerting you that already - by this time tomorrow - you'll (not) see a different team. Oh, who are we kidding? The Cowboys will make their share of national news beginning with Jerry's State of the Union press conference Saturday at 10 a.m. and with the team's the first full practice Sunday afternoon at 2. But there are football questions to be answered from now until they break camp Aug. 16 in preparation for the Sept. 8 season opener against the New York Giants. For help in identifying issues and getting a head start on what to expect, I've enlisted the help of former NFL scout Bryan Broaddus and his big football brain. Q: How will the defense be different with Monte Kiffin as defensive coordinator, as opposed to Rob Ryan? A: From what I know about this 4-3 scheme under Kiffin and what I saw with Ryan and his 3-4, is that Kiffin is very consistent in the types of looks that he gives you. He puts it on the players to make the plays and not the design of the defense. Under Ryan there were too many times where the players had to adjust then adjust again before the ball was snapped. This led to players being confused or out of position to try and defend the play. Kiffin’s scheme is simple and more player friendly when it comes to the mental side of the game. Confident players just play better and Kiffin takes advantage of that. Q: How will Bill Callahan calling the offensive plays manifest itself? A: Having worked with Callahan before, I honestly feel like he will do a nice job of calling plays. Where he will be different from Garrett is that I believe you will see him more committed to sticking with plays that he has had success with in the game as they are working through it. The one time last season where I felt like Garrett was committed to play calling consistency was in the Ravens game and it was one of the better games as far as balance we saw. Callahan understands the strengths and his weaknesses of his offensive line, which also should help him put his players in the best positions to succeed. 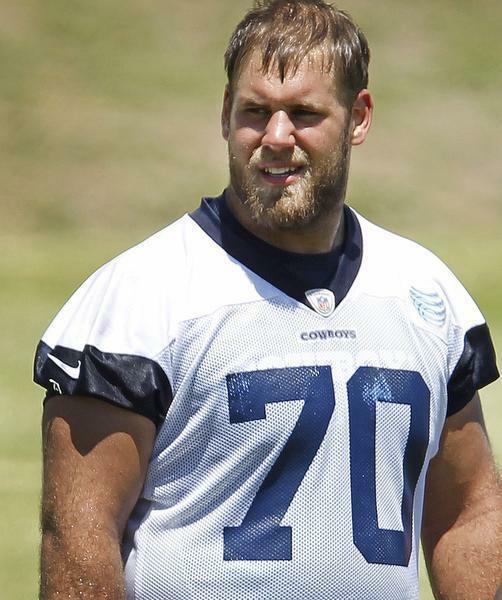 Q: Are the Cowboys counting on Travis Frederick to be their starting center, beginning Sept. 8 against the Giants? A: Frederick has been the starter since the first rookie practice, so the commitment is there. As critical as I have been of Phil Costa, this zone blocking scheme is really a nice fit for him. 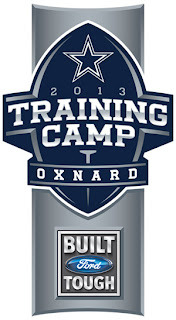 It will be very interesting if Costa has an outstanding camp, would the coaches consider putting Frederick at guard? I believe that he will get some work there while we are in Oxnard and should have an answer to the outcome by the time the Arizona game is in the books. Q: With Lawrence Vickers cut, the Cowboys don't have a fullback on the roster. What's the plan there? A: Four tight ends and Anthony Rosario playing as the role of a fullback when Callahan wants to go with that package. It was very clear in the OTA’s and mini-camp practices that Lawrence Vickers’ days on this team were done. Q: With the emergence of Dwayne Harris last year, are the days of Dez Bryant returning punts over? A: This is always a tricky question because I love the dynamic side of Bryant with the ball in his hands. As a former personnel man in this league, I never wanted to expose my best players like Bryant to unnecessary risks because I cannot replace him if he were to get injured. Harris should be the man going forward because of his ability. He has a special knack as a punt returner and there is no reason to remove him from that responsibility. 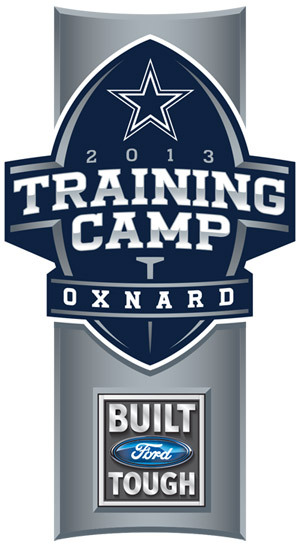 Q: Are Sean Lee and Bruce Carter 100% healthy headed into camp? A: Carter and Lee are both good to go. This 4-3 scheme is a great fit for them and I expect them to have an outstanding season. Q: What rookie, other than Frederick, could jump up and make an immediate impact with a prominent role this season? A: I really do like safety J.J. Wilcox and wide receiver Terrence Williams. Both of these guys have to fight through the “Rookie Wall” in camp but the game doesn’t look too big for either of them. Really keep an eye on Wilcox because when the pads come on, that’s where I believe he will really shine. Q: Will we finally see a healthy Matt Johnson and is he the starting strong safety alongside Barry Church? A: Matt Johnson is a good football player and he was when I studied him on college tape before last season. He just couldn’t get away from the problems with the hamstring and that was the story. He made it through the camps with no problems which was a huge plus. He is smart, tough and he plays with nice awareness, I am very interested to see how he takes advantage of this opportunity. He should be in the mix. Q: What do you expect the impacts of last year's season-ending failure in Washington and the off-season contract extension to have on Tony Romo? A: I honestly believe that there has always been a sense of urgency with Romo but it just hasn’t always worked out for him. With all the injuries that this team suffered last season, he played well enough to at least give them a shot at the division title which is all you could have asked at that point. 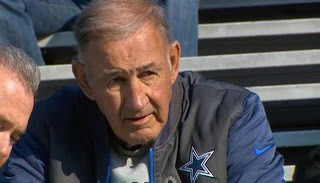 Romo understands the pressure, he knows of the missed opportunities and talking to him, he has always put a great deal of pressure on himself. Where Romo can benefit the most this season is if DeMarco Murray were to stay healthy and this offensive line managed to have success in this zone blocking scheme. Bryant, Witten and even Austin will be major pieces in this offense but Murray and this line need to get things done for this offense to really hum. Q: This team has been 8-8 the last two seasons and missed the playoffs. What's the main reason for fans to be optimistic this year's team will be better? A: I recently said on DallasCowboys.com that I thought this team could win 11 games if things fell right injury-wise, but I also believe in the talent that is on this team in key spots. I like the fact that Callahan is calling the plays because I believe it will help Romo in the long run with balance and the defensive scheme change with Kiffin takes the mental part out of the game for these players and it allows them to be football players. But it's the talent on this team should give the fans the most optimism for the coming season. You avoided the most essential question-Who has the better comb-over, Kiffin or Trump? Dangit. Plenty of time to answer that one. Reading makes me sleepy. Can you gives us a podcast, Richie?